HomeMan UnitedWho are Manchester United “signing” today? Who are Manchester United “signing” today? It is that time again. Well, it is that time 365 days per year, when the football media claim Manchester United are after a football player. That happens everyday, but since the international break is not making us satisfied, we will be digging into the players Manchester United “are signing” this weekend. These are the four mentioned in the past 24 hours. First, let’s start with a name that is new to the most of Man United fans. The other three were mentioned here and there in regards to Man United potentially signing them, but this guy is a new one. 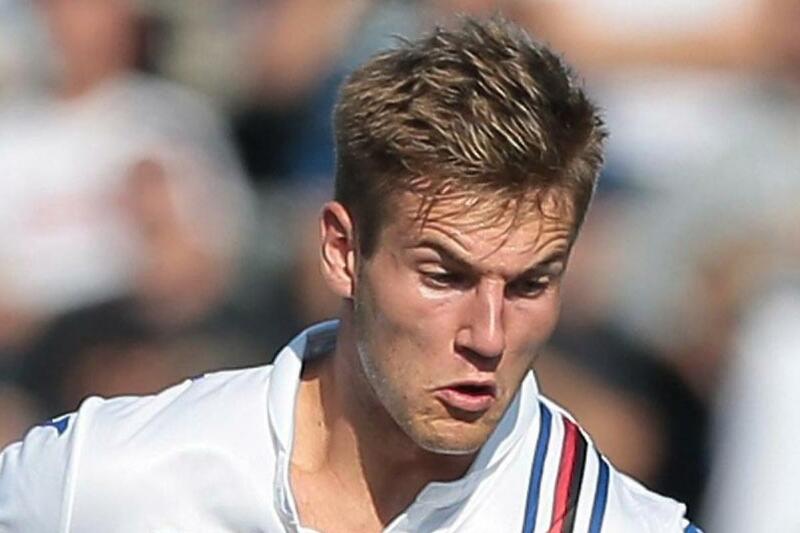 Joachin Andersen is a 22-year old centre-back who currently plays for Sampdoria. He is from Denmark and has been signed by the Italian club after they sold Milan Skriniar to Inter Milan. After a coup from Slovakia, Samp are on the verge of another big transfer just a year after signing a centre-back for next to no money. Andersen has been very important for Sampdoria’s good results this season, as they are battling for Europa League football next season and has made 27 appearances in Serie A. The only match he missed against Juventus, it was through suspension. Man United need centre-backs, so the media obviously believe they are interested in every centre-back in Europe. While we are at it, let’s talk about another centre-back. This time, it is Goal.com claiming Man United are after Ruben Dias and Joao Felix. They both play for Benfica, but the former of the two is a centre-back who has been very good for the Lisbon-based club. Dias made 25 Liga NOS appearances this season and nine more across Champions League and Europa League. At the age of 21, he is one of the most coveted defenders. Sure, he is not Matthijs De Ligt and he does not seem to be as physically imposing as Nikola Milenkovic, but Dias still promises a lot with his technical skills. Reportedly, Man United are also interested in Joao Felix. He is a forward born in 1999, currently still 19, but he has been absolutely phenomenal for the Portuguese giants this season. No one really expected him to excel as much as he did this season, as he has 10 goals and five assists across 18 Liga NOS appearances, scoring a league goal per 109 minutes spent on the pitch. Obviously, Portuguese league is not as good as the best European leagues, but Felix has shown he is a huge talent and that has alerted several European clubs. Man United are reportedly mentioned as one of the interested clubs, but right now it seems unrealistic for the Devils to go after him. Yes, you have guessed it. Portugal again. What is it with reports about Man United and players from Portugal? It seems like everyone is expecting a new Victor Lindelöf type of signing. This time, we go to Sporting Lisbon. Bruno Fernandes plays there and he does it brilliantly in the central midfield. That is an area Man United will be looking to improve, as Fred, Matic and Ander Herrera are not an ideal combination to have. Fernandes is still just 24, he has 13 goals and 10 assists in the league this season and has shown he can be really good both with the ball and without it. Keep an eye on him.